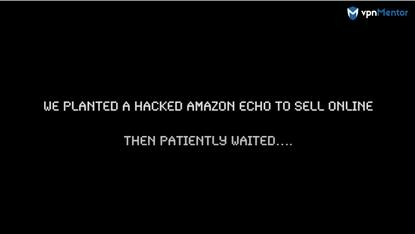 Online security experts vpnMentor have investigated the accessibility of Amazon Echo by hacking into one unsuspecting family’s device, highlighting how easily it could be tampered with. VpnMentor’s research revealed a critical vulnerability related to the first-generation Echo’s physical design. Hackers were able to open the device and manipulate it using a specially crafted SD card. This means that malicious actors could live stream audio from its microphone, and remotely use its services. The security experts at vpnMentor compiled a list of recommendations to help protect Amazon Echo users. VpnMentor recommended that users always research a product and any existing security threats before purchase, only buy from officially certified sources and be aware of signs of physical intervention. They also recommend that users ensure their smart devices are properly configured and regularly updated and to keep externally facing smart devices on a separate network. For more information, visit https://www.vpnmentor.com/how-hackable-is-your-smart-home/personal-assistant-device/.